21 Reasons to Fall in LOVE with Essential Oils! 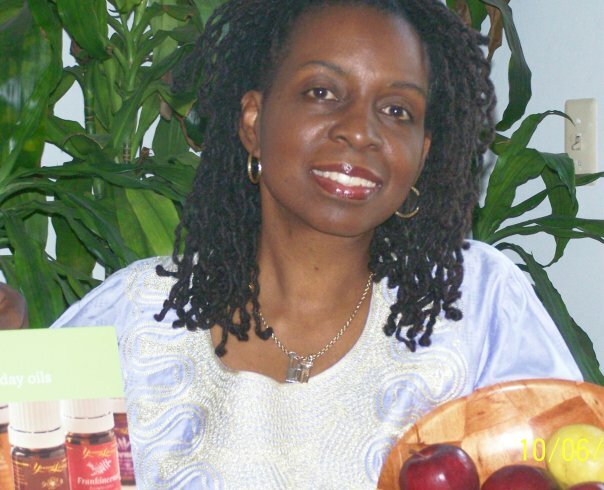 Essential oils are the life blood of plants providing protection and pathways of nutrition to the plant. The ancients realized long ago that the power of these oils for the plant would have the same effect on humans and animals, and crafted the fine art of extraction and distillation of the oils. 1. THEY SMELL GREAT SO YOU SMELL GREAT! The essential oil carries the aromatic fragrant rich component of the plant which tantalizes our sense of smell. 3. 75 – 100X MORE POWERFUL THAN THE DRIED PLANT. The essential oil from most plants especially herbal are 75-100X more powerful than the dried plant. For instance 1 drop of peppermint oil in a cup of hot water equals 26-28 cups of peppermint tea! 4. THEY ARE AMAZING AT CREATING BALANCE IN THE BODY EMOTIONALLY AND PHYSICALLY AT THE SAME TIME. While walking on a trail, a little boy and his Dad where a several feet behind me when all of a sudden the boy was stung or bitten by a bug. He started crying upcontrolabley. I had a bottle of lavender in my pocket, and asked the Dad permission to use it. His seemed more than happy to do anything to stop his son from crying. So within a minute of putting the drop on he stopped crying (emotional treatment) and the oil began working on the inflammation and pain (physical treatment). 5. THEY PROVIDE NATURAL PAIN RELIEF. Some essential oils for pain are Lavender (as noted in #4), peppermint, wintergreen, and balsam fir.. to name a few. Gently massage into sore and tired muscles or create a compress and apply with heat. Use from headaches to menstral cramps to any type of "itis" (arthritus, bursitus, tendonitus, etc). 6. THEY HAVE ANTIVIRAL, ANTIFUNGAL, ANTIBACTERIAL PROPERTIES. Since essential oils protect the plant from bacteria, viruses, fungi, and parasites, studies have shown them to be effective in humans also. Some of the more powerful ones are clove, tea tree, eucalyptus, rosemary. Check out this nice mixture called "Thieves". From sexual to fatigue and weight problems to hot flashes. Sage has shown a positive effect on hot flashes and other menopausal symptoms. Other balancing oils include ylang ylang, geranium, frankincense, ginger, peppermint, black pepper, and clary sage. Also see #10 below. 8. THEY REDUCE STRESS AND ANXIETY NATURALLY. Forty million Americans experience an episode of impairment due to anxiety each year. Essential oils are known to soothe the soul, bring calmness, peace, and balance without side effects. Oils that can help here include: lavender, frankincense, melissa, sandalwood, orange. 9. SOME CAN CROSS THE BLOOD BRAIN BARRIER. … which means they can stimulate and balance brain activity, like for a person with Alzheimer's, or Parkinsens. These oils would include peppermint, grapefruit, fennel, sandalwood, cederwood, vetiver. I have a couple of clients who have found releif from veritgo using vetiver and a wonderful blend called Valor essential oil. 10. THEY ARE INCREDIBLY VERSATILE AT ADAPTING TO YOUR BODY’S NEED. Example, myrtle oil can stimulate an increase or a decrease in thyroid activity depending on a person's condition. Lavender can be relaxing or uplifting depending on your body's need. Amazing!! 12. THEY PROVIDE PROTECTION AS POWERFUL ANTIOXIDANTS. This means they protect against free radicals in the body or put simply they help slow the aging process and help fight dis-ease. Clove, thyme, and oregano measure amongst the highest antioxidant activity with clove at 10,786,875, thyme at 159,590, oregano at 153,007. In comparison with food, 1 cup of blueberries (organic) measures at 9019. Here's a published scientific study with oils and antioxidant activity…study. 14. THE SKIN CAN BE REJUVENATED WITH ESSENTIAL OILS. 16. WITHIN MINUTES, AN ESSENTIAL OIL CAN CHANGE A NEGATIVE MOOD (FEAR, ANXIETY, DEPRESSION, ETC)! 21. THEY ARE A NATURAL HEALTH SOURCE WITH LITTLE TO NO SIDE EFFECTS. I'll be sharing more in depth about some of these areas in future blogs. But if you would like to know know more now, just click here. Let me know if you have any questions in anyone particular area. Perhaps you are already using therauptic grade essential oils. If so, please share some of your favorite "loves" to add to the list! Just click on the Comment link below. 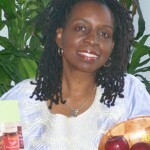 Ayo(Pat) Hinds-Bankole, owner of Conscious Living Care, is your ultimate Wellness Expert & Coach, helping people ignite and re-ignite their passion for great health from the inside out! Serving Men/women/children/pets nationally and internationally. The contents of this site, are for informational purposes only. Nothing contained in this site is or should be considered or used as a substitute for professional medical or mental health advice, diagnosis, or treatment. Never disregard medical advice from your doctor or other qualified health care provider or delay seeking it because of something you have read on the Internet, including on this site. Previous post: FIBROIDS – The UNTOLD Story !